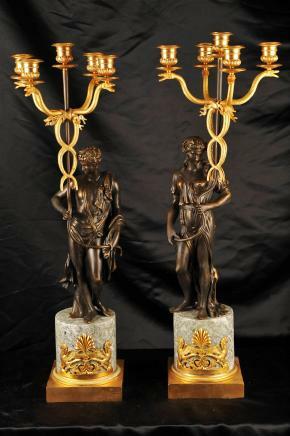 – Loving the snake branches to the candelabras – very unusual! 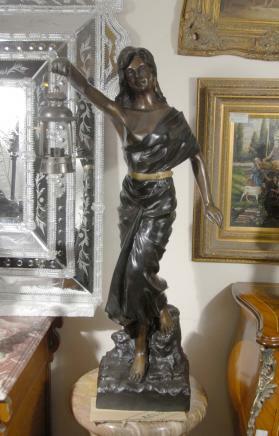 You are viewing a gorgeous French art nouveau style bronze study of a woman carrying a lantern. The woman is depicted in a long gown carrying the lantern which is raised in her right hand. 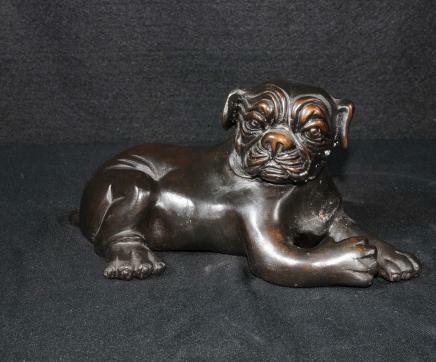 The piece sits on a square bronze base and overall has a lovely patina to the bronze. The piece is offered in near perfect condition and would make a great decorative item for your home.